"Carp are the big game of the inland angler, and in this book 'BB' tells of some of his experiences with this very sporting fish, how they may be caught or at any rate hooked, and what is the particular charm of their pursuit. He has included the fascinating stories of other people who have brought specimen carp to the bank. BB's readers will know that he was an expert fisherman and that he has, beyond his great technical knowledge and experience, the power to communicate the meditative atmosphere which has accompanied the art since Walton's days. 'Carping' takes place in warm, summer weather and usually in lovely lily-strewn waters. The author's gift of descriptive writing has seldom been better displayed. 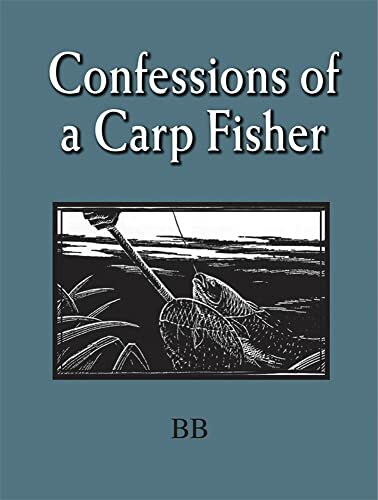 First published in 1950, and instantly beloved by fisherman, whether they fish for carp or not, Confessions of a Carp Fisher is a much prized addition to any fishing library. This reprint features an updated look including new jacket artwork and a foreward by Chris Yates who explains why, half a century after it was first published, BB's advice about carp and carp fishing are as fresh and fascinating as ever. The illustrations by Denys Watkins-Pitchford are some of the finest examples of his scraperboard art."